• The Perfect Scratch For Your Favorite Flock. 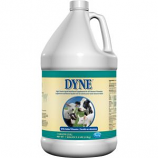 For use on: dairy cattle beef cattle horses sheep goats dogs swine poultry livestock premises and homes.. A long-lasting livestock and premise spray that provides knockdown and broad spectrum kill.. Provides excellent residual activity for up to 28 days.. Effective insect control on animals indoor and outdoor premises.. 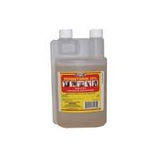 Safe - permethrin is highly toxic to the insect with a very low toxicity to humans and animals.. Convenient mixing - packaged in a squeeze-and-pour bottle. Maximum nutrition in minimum volume. Helps maintain a glossy show-ready coat. Great for animals being readied for show. High in fat to provide extra calories. Intended for all classes of livestock one week and older. Provides Beneficial Bacteria To Maintain A Healthy Microbial Balance and Support Desirable Organisms To Newborns. • A Nutritional Supplement For Dairy Cattle During Calving. • For Use On Dairy Cattle. • Neutral Ph Which Is Ideal For The Animal. • Contains Citrate Acid Which Aids In The Absorption Of Ingredients. • Contains True Gel Base Product Will Not Run Out Of The Animals Mouth. • Provides A High Level Of Calcium Combined With Phosphorus, Magnesium and Potassium. • True Gel Base Will Not Run Out Of The Animal S Mouth. • Contains Citrate Acid Aids Absorption Of Ingredients. • Provides 62 Grams Of Calcium, Highest Level Available In A Gel. • True Gel Base Will Not Run Out Of Animal S Mouth. • Contains Both Calcium Oxide & Calcium Propionate- Provides Fast and Sustained Release Of Calcium. • Safe For Use In Both Beef and Dairy Calves. 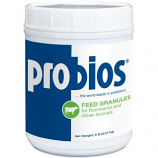 Provides Niacin, Vitamin B Complex and Propylene Glycol To Maintain Energy Levels In Fresh Cows. Powerful Stress Capsule For Use After Calving, During Sickness. 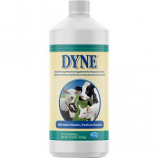 • A Nutritional Product For Newborn Calves, Sheep and Goats. • Which Contains A Source Of Live (Viable) Naturally Occurring Microorganisms. For ruminants and other animals. . . . .
• Made With Easily Absorbed Bovine Serum and High Quality Colostrum From State Certified Dairy Herds. • Contains 55 Grams Of Globulin Protein Per Pound Of Powder. • High Energy Formula Provides A Complete Feeding Of Essential Proteins, Energy, Vitamins and Minerals. 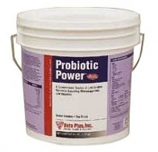 • Formulated With Biomos Shown To Support Enteric Health and Immunoglobulin Absorption. • Fortified With 26 Essential Vitamins and Minerals.